FUZEHUB announced it is providing The Manufacturing Grants are designed to encourage collaboration between companies and non-profit organizations in New York State that work with the manufacturing industry. For more information and to check your eligibility, please click the button below. 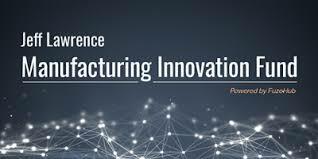 The Manufacturing Grants are designed to encourage collaboration between companies and non-profit organizations in New York State that work with the manufacturing industry. Check this page for the latest information on Manufacturing Grant eligibility, guidelines, FAQs, news and the application process. Manufacturing Grant Guidelines, FAQ’s, Project Budget Template, Application Questions have been updated for 2019. New York State not-for-profit organizations. Applicants must partner with a small or medium sized (SME) manufacturer or other-early-stage company with a project relevant to the manufacturing sector. For the purposes of this grant, SME is defined as a business with at least one physical establishment in New York State, and no more than 500 employees across entire firm or enterprise worldwide. All team members, including the company benefiting from the project, must be located in New York State. Applicants may only submit one application. Community Colleges are eligible to submit one application. In the case of a university, up to three different centers or departments at a given university may apply. University applicants must provide the subset of the university such as college, school or department in the application form. A not-for profit, or a specific department of a university, can only receive one Manufacturing Grant award per year. Applicants may apply for up to $50,000. The number of awards made may vary by funding round depending on other uses of the Fund and the quality of applications received. FUZEHUB maintains the right to award less than is being requested. All project funds must be expended within twelve months. A not-for profit, or a specific department of a university, can only receive one Manufacturing Grant award per year. Applicant teams involving companies with 50 or more employees combined are required to contribute a match according to the sliding scale (provided in the guidelines), with at least 50% of the match in the form of cash equity. If an application includes multiple companies, the match requirement is based on the total number of employees of the combined companies.